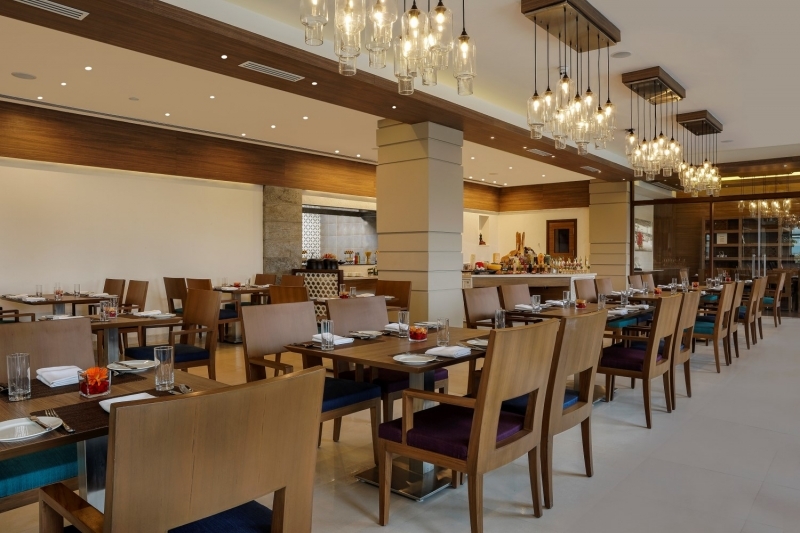 Within close proximity to Chennai International Airport and numerous majestic temples, Mercure Chennai Sriperumbudur is a modern hotel with a unique traditional touch located in the heart of Tamil Nadu. A brand new hotel has sprouted up in Chennai, one of India’s most diverse but understated city. 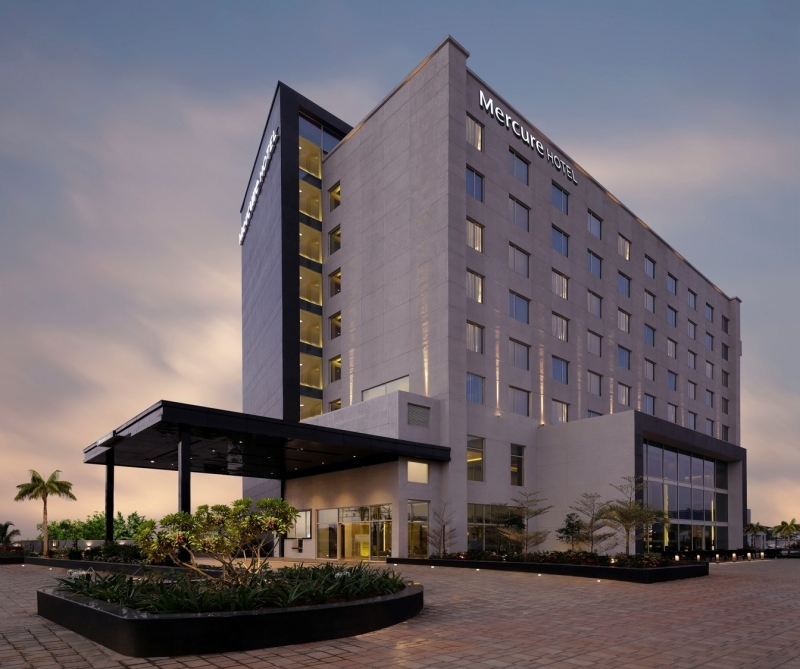 AccorHotels has opened its first international hotel, Mercure Chennai Sriperumbudur, in Chennai’s largest industrial and automobile belt, Sriperumbudur-Oragadam, which is in the state of Tamil Nadu. Mercure Chennai Sriperumbudur exudes the feel of a contemporary ‘home away from home’, juxtaposing modernity with tradition. The local elements of a lotus-themed design and vibrant displays of Tamil art in the lobby are perfectly reflected in the hotel’s modern design, offering guests an authentic experience of South India. Mercure Chennai Sriperumbudur houses 100 luxurious guest rooms including six suites, all decked in simple, minimalistic designs. The cultural heritage of Tamil Nadu is also incorporated in rooms where the wallpaper depicts the writing of “Thirukkural”, a Tamil literature by the honourable poet and philosopher, Thiruvalluvar. Every room comes equipped with a host of in-room amenities including complimentary high-speed Wi-Fi and tea or coffee making facilities. 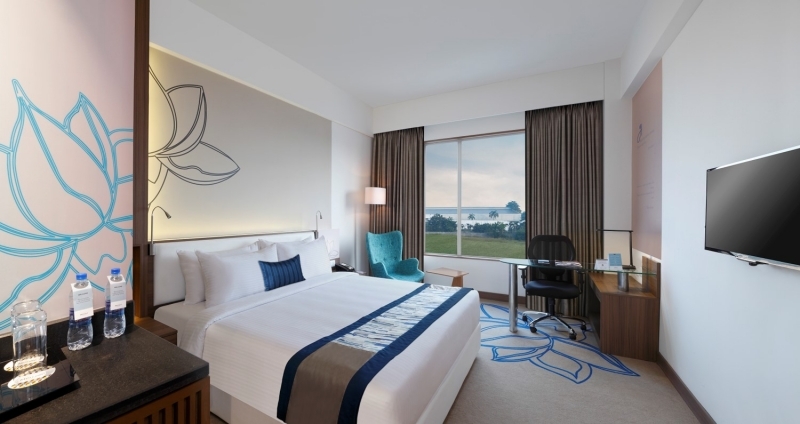 You can choose from four different room types – the Superior King Bed, the Superior Twin Bed, the Deluxe King Room with enhanced benefits of free two hours boardroom usage and 20% off all food and beverages or the Executive Suite that comes with a separate living room. Satisfy your hunger pangs at Melange, the hotel’s all-day dining restaurant that offers a wide plethora of quintessential local delights along with international cuisines. With a pool view and abundant natural light, it is an Insta-worthy spot for food shots that are perfect for the ‘gram. Otherwise, visit Anahata, the hotel’s alfresco poolside restaurant, for some grill favourites. If you are looking for mocktails, quick bites and pastries, HYBRID is a unique sports-themed bar and lounge that is a must-visit. Guests can even chill and unwind with their friends over a game of snooker or Xbox. To burn off all the extra calories, fitness buffs can also drop by the hotel’s state-of-the-art fitness centre or swimming pool for an intensive workout. 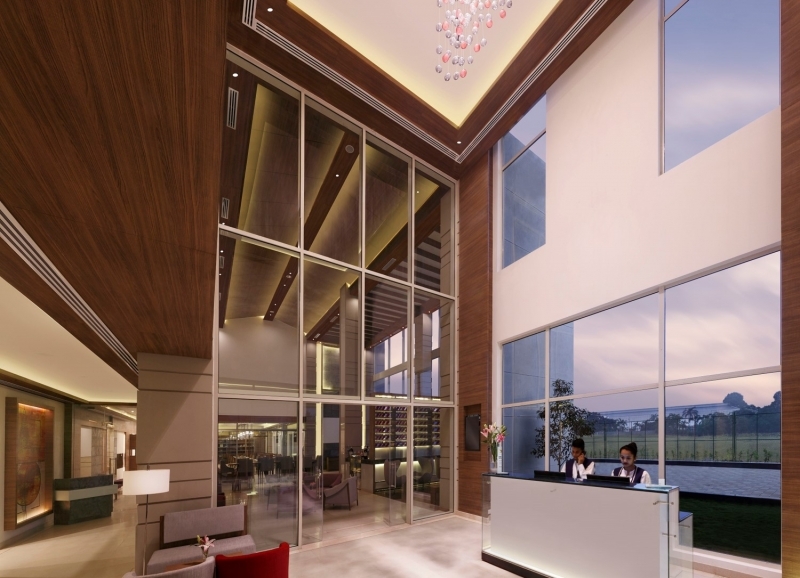 A short 45-minute drive from Chennai International Airport, Mercure Chennai Sriperumbudur is strategically located in the vicinity of Kanchipuram. Known as "the city of thousand temples", first-timers to India should definitely visit t he famous Ekambareshva and Kailasanatha temples to immerse in its local culture and religion. 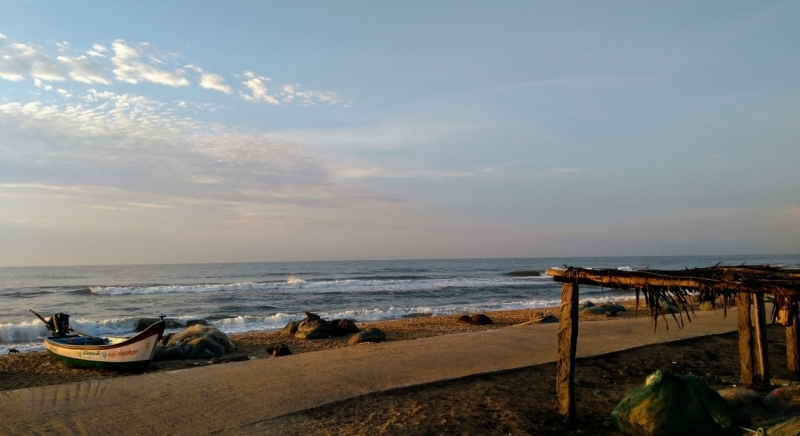 Guests staying in Mercure Chennai Sriperumbudur can also explore further by embarking on an hour’s drive to the UNESCO World Heritage Site, Mahabalipuram. 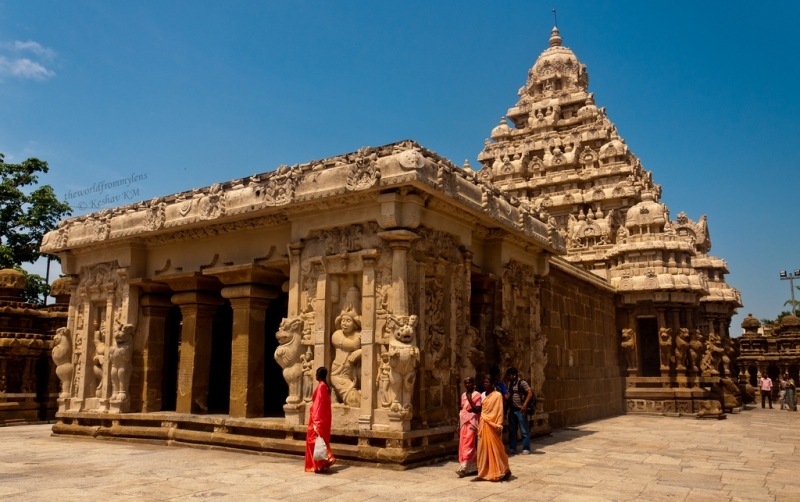 Stand in awe at the 400 magnificent historic monuments from the 7th century Pallava dynasty such as the Shore Temple and Pancha Rathas, or bathe in the sunlight at the pristine beaches in Mahabalipuram. 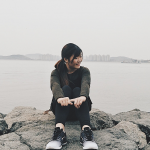 Guests can also approach the friendly hotel staff at the 24-hour travel desk to find out more about the local culture and popular sightseeing spots. 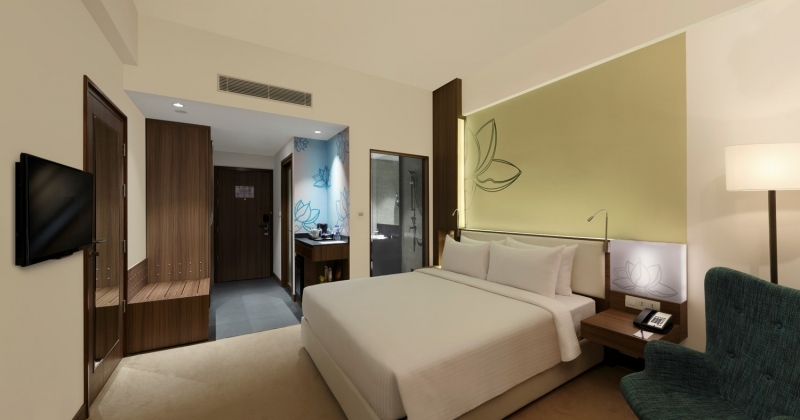 To celebrate its opening, Mercure Chennai Sriperumbudur is offering a special price of INR 4,999 (plus taxes) per night, inclusive of breakfast. Promotion is valid for a limited time only.